Home Free Stuff Get Your FREE Car Seat ID Tag From My Precious Kid! The identification tag you will receive once you submit your request email comes with a self-laminating seal so that the identification form will not fall out or become damaged. 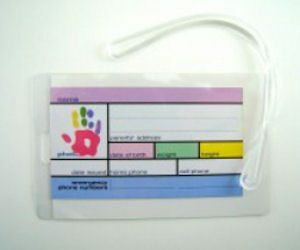 The identification tag comes with an attachable luggage loop that will keep the tag in place. Use the identification form to provide emergency personnel with as much information as necessary should an emergency occur.